The Bat lamp was designed in the years 2009 - 2011 by Carsten Jörgensen with the purpose to create a dynamic sculptural light object for use in domestic and public spaces. The geometrical concave and convex intersections of the wings provide a diffusing screen rendering the out breaking light in a harmonious spectrum of light intensities enhancing the shapes character and at the same time providing a beautiful ambient light. Named Bat, because its shape with a bit of fantasy can be associated with the concave curves on a bat’s wings and the association between bats and dark caves. 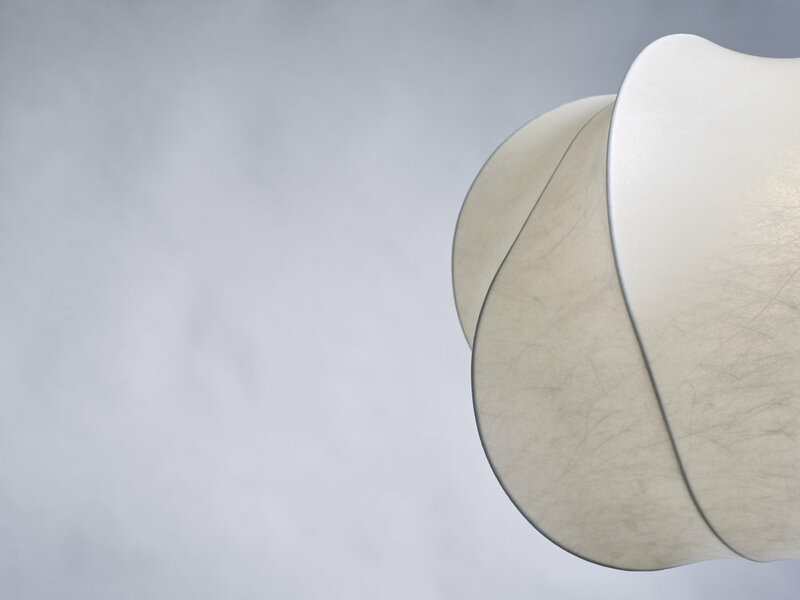 Bat is used as a suspension lamp providing an almost spherical 360° diffused light which will provide enough light for bigger spaces at the light source full power. Due to the dim-ability of the light source it is easy to change the ambiance of a specific room and specific occasion. The lighting source included is a dimmable A++ LED bulb with a milky finish providing 1500 lumen at 18 watt, a bit more than a 100 watt incandescent light. The colour of emitting light measured at the bulb is 2700 Kelvin, meaning the warmer end of the color spectrum toward yellow and at the actual provided light is 2800 Kelvin, a good ambient light. The colour rendering ability (Ra / CRI) is rated to Ra 90. An incandescent light will in comparison provide Ra 100, meaning that the colour rendering ability by LEDs is less but then in comparison to other electrical light sources it is the most energy saving light source known. 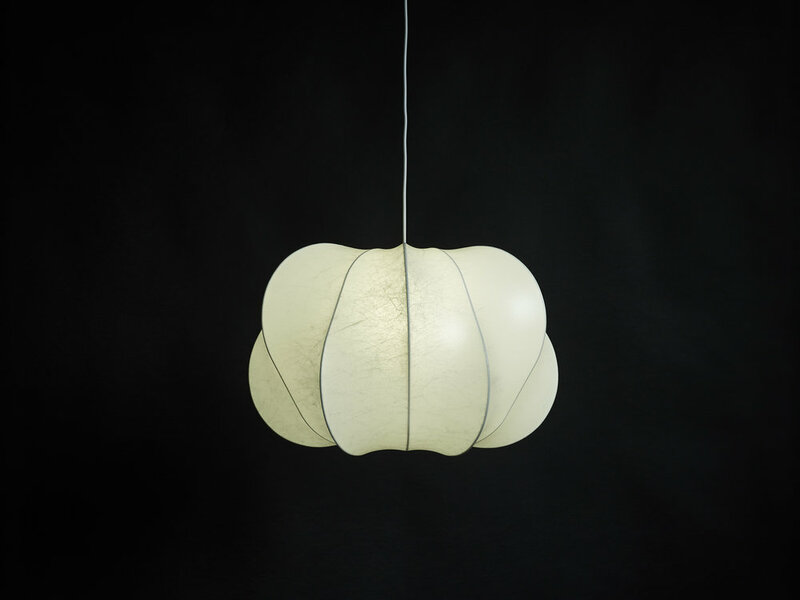 This is the reason we have chosen LED and because we find it the ultimate light for the cocooning lamps. The guaranteed life cycle of the madetostay LED bulbs are 25000 hours, the same as for the Bat lamp shade. 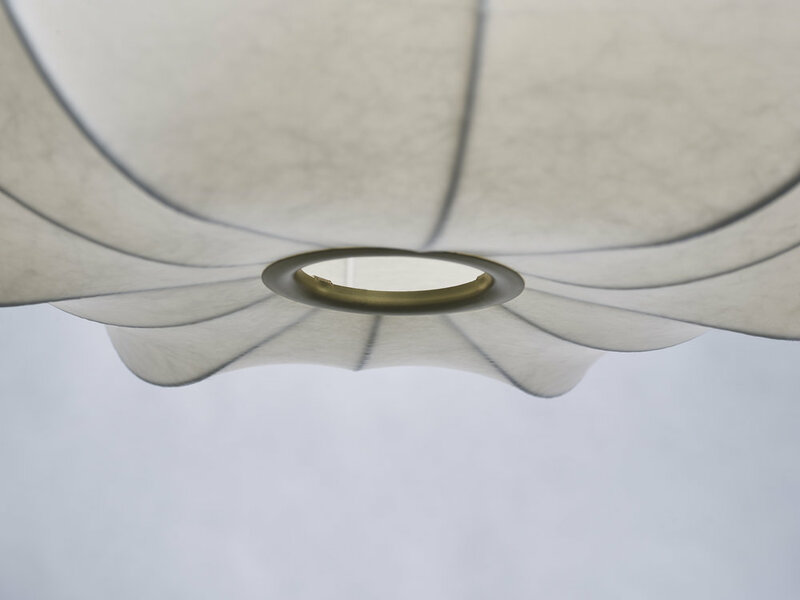 Shaped over an internal white powder coated steel structure supporting the cocooning polymer (plastic) fibre the cocooning screen is provided with two protecting translucent matt lacquer finishes, making it possible to clean the surface of dust and other emissions from the air. The cocooning is soft and can withstand pressure from non sharp objects. If deformed it will after a short time regenerate to its original shape but should not be set under continuous pressure from any objects. Bat is delivered with 4 meters of power cord with your choice of 4 colours. Black, white, red and orange. The ceiling power outlet is a simple to install white metal cover and allows for three lamps to be connected and hanged in a cluster. The Bat lamp is 69 cm in diameter and 39 cm high approximately the same size as a café table in a café and is rather voluminous so it needs a bit more room and relative high ceilings over 250 cm. Bat can be placed in clusters of three at various heights. In the chapter What is good light? you will find a detailed technical description as well as all exact measurements.